West Brom take on Aston Villa at the Hawthorns this Friday, live on Sky Sports Football. Darren Moore has presided over a period of change at West Brom as the club adjusts to life in the Championship. Adam Bate sat down with the Baggies boss to hear how he has come through a testing period hoping to have restored the club's identity. "They were wise words because my dad knew that if I gave my best for that week down there then my trial would be extended. And it was extended because I got a two-year deal. It all took off from there and even to this day those words echo in my ears. "That's why last year when I took over as caretaker manager here at West Brom, I still didn't want to have any regrets in terms of working hard for the club. Those principles remain true and it comes from my dad. That drive comes from him. No regrets." Moore needed that attitude when thrust into the spotlight at the Hawthorns in April. The team had lost nine consecutive games and were cut adrift at the foot of the Premier League when he was asked to preside over the inevitable relegation. Instead, he proceeded to pick up 11 points from the next five games, more than his predecessors had managed in the previous 25. There was a win at Old Trafford, a late comeback to draw with Liverpool, and a stoppage-time winner over Tottenham. It was not quite enough to complete a great escape to surpass the one that Moore experienced as a player at the Hawthorns but it was enough to earn the opportunity to do the job on a permanent basis - in circumstances that were to prove just as trying. "It was a hard summer," he explains. "We didn't have a recruitment team in and we didn't have a technical director. My assistant Graeme Jones didn't join us until two days before the start of the season. "It was an incredible experience to be relatively on your own in a club of this magnitude with those key personnel missing. There was a lot to take in because of the scale of the football club and I felt like it was just me and the chief executive. "So predominantly it was a case of settling the team down and building a team ethos and philosophy, all while getting the right players in and trying to fend off others from taking our players. It was a completely different job to last season but I got my teeth stuck into it." Derby's Harry Wilson has topped the Championship Power Rankings this week, but who else makes the top 50? It helped that Moore knows this club and these supporters so intimately. A club legend from his two promotions, it is the face of Moore the player that adorns the entrance to the academy building over the road from the Hawthorns. The hero status he is afforded has been a fillip to the club at a difficult time, although the club's staff joke that it does mean he tends to find himself running late - an inevitability when even the shortest of walks means stopping to chat to anyone and everyone. The result is that Moore instinctively understood what was needed. He had to restore the traditions that had been lost when the club strived to stay up under Tony Pulis against a backdrop of dwindling attendances. The fans wanted to enjoy their football once again. "I knew the feeling of the football club and I just knew it had to change," he says. "It had to. I felt that really strongly. And the football has completely changed from last year. It has been a big shift but it had to happen if the club was to move forward. "The aim now is to play a brand of football that the supporters can enjoy and feel like they have got their football club back. We are trying to manage a different style of play from what this club has been used to for so long. "We are trying to change the whole concept but we want to do that together because that's far easier than trying to change it on your own. That's the way I see it. We have a talented group that can perform if we get the ball down and play the right way. "It excites me and it warms my stomach, but there is so much work ahead." Utilising a new back-three system, Albion scored four to win at the current league leaders Norwich back in August and promptly put seven past Queens Park Rangers next time out. There were four more against both Bristol City and Reading. The Baggies were flying until a run of four games without a win suggested that opponents had adapted. "That's what TV does," says Moore. "We set about the league at a relentless pace but teams see that, they react to it and they try to stop it at source. So we knew we needed to change things around. That's the league, it presents different challenges and new hurdles. So we worked on a new style and system before the Leeds game and it worked for us." Marcelo Bielsa's side were beaten 4-1 in November following Moore's switch to a back four and the new formation has helped bring fresh impetus. 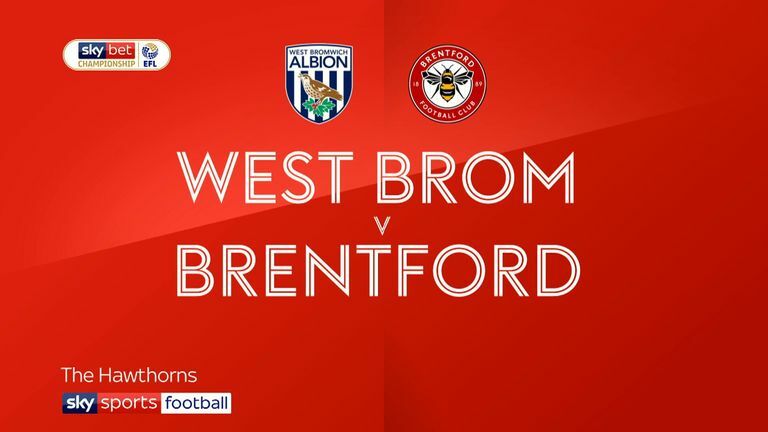 West Brom go into the derby game against Aston Villa on Friday night with only Brentford's last-minute equaliser on Monday having denied them the maximum points from each of their last four matches. "The nice thing now as a head coach is to know that there are these different shapes and systems that we can go to depending on what the opposition do," he adds. "Rather than being one-dimensional, we have different strings to our bow. We have that flexibility." Moore is a big man already but there is a strong sense that he is growing into this role. He is much more than a coach now. A lunch meeting with the Chinese owner on Tuesday went well and while he is keen to stress that it remains early days, perhaps the most fraught period of his reign has been overcome. A win on Friday will put them two points off top. "It has been a good start and we have the potential to do it but it is important to keep going," he adds. "It fills me with joy that Friday's game is a sell-out because it shows that the fans are starting to enjoy watching their team again. The big thing at the moment is finding the consistency that will allow us to build momentum." Perhaps there are more spectacular managerial efforts in the Championship this season. Certainly, Moore's impact has not been quite as dramatic as it was last spring when he secured this opportunity. But now, as then, it is difficult to imagine that anyone could have steered West Brom through these stormy waters quite so effectively. "I will just keep doing what I can for the football club," he says. And as it was for the young boy who went down to Torquay United hoping to earn a contract, Darren Moore's best efforts might well be good enough. If West Brom come up short, it will not be for the want of trying. No regrets.